Massive congratulations to Alex and Chantelle who were married on Saturday 28th June. 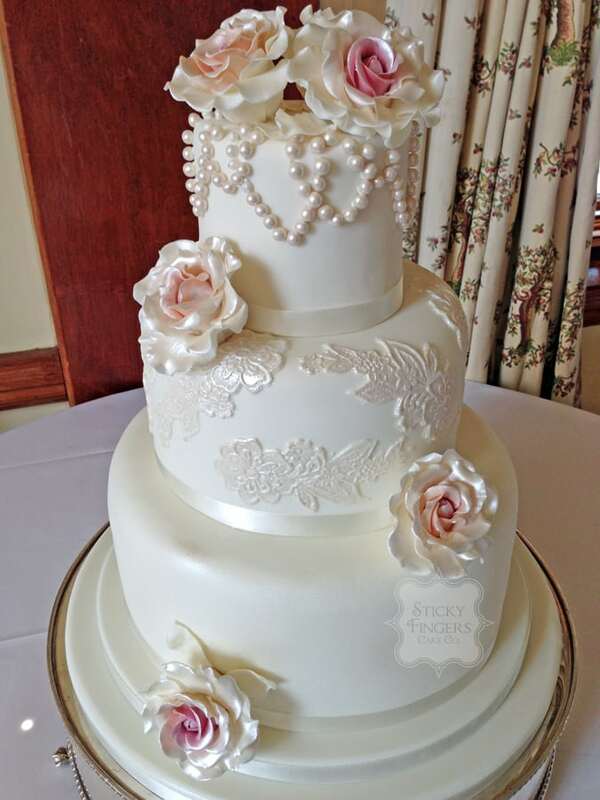 I was incredibly happy making their wedding cake, as it was just the sort of design I’d been longing to do – pretty vintage open roses, and lace – so romantic! Their flavours were traditional fruitcake for the top tier, lemon drizzle for the middle and black forest for the bottom. I hope they had a wonderful day. Here’s to a long and happy life together!